Software Engineering: software verification, validation and testing, automated program analysis, understanding and parallelization. Mobile Systems and Applications: participatory sensing, human computer interaction and machine learning. Dr. Zubair Malik did his BS from GIKI, MSc from FAST-Lahore, and MSE and PhD from UT Austin. He worked as a Research Fellow at the Center for Identity at UT Austin and as a Postdoctoral Research Fellow at Robotics Institute at CMU. 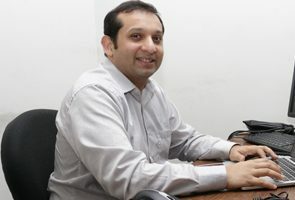 Dr. Malik has extensive work experience in the industry where he worked for IBM, ObjectVideo and Xavor (Lahore). Dr. Malik enjoys building software systems to solve common problems and answer interesting research questions from large amount of data generated by the users of these systems. He has been working with Tiramisu Project at CMU to develop web application and mobile clients to build crowdsourced public transit information system, whose data he uses to solve O-D problem in transportation. Earlier, he lead the Identity EcoSystem project at the Center for Identity to detect identity fraud. Before that he developed tools and techniques to improve debugging of imperative (JAVA) programs manipulating complex data structures.